San Junipero's Emmy win last year raised Black Mirror's profile, so there was little doubt that the anthology series would be up for gold again this time around. With a list of celebrated actors all taking part in Season 4, there was a lot of competition among the ever-changing cast of Black Mirror. 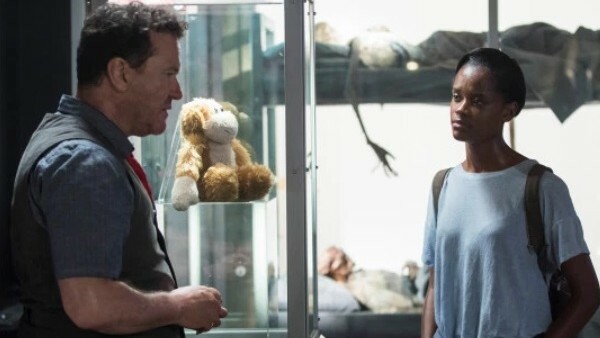 However, Letitia Wright's performance in Black Museum episode received a nomination for Supporting Actress In a Limited Series, which wasn't really what folks had in mind. Wright delivers a decent performance on all accounts, but out of all the performances in the show's fourth season, hers wasn't one of the standouts. Georgina Campbell or Joe Cole would've been more worthy nominees for their performances in Hang the DJ, as would Maxine Peake's in Metalhead. Moreover, considering Gugu Mbatha-Raw and MacKenzie Davis' performances in the Emmy-winning San Junipero were overlooked last year, Wright's nomination is hard to comprehend. Black Museum was among the worst of Black Mirror's fourth season, so it's pretty surreal that it received a nomination of any kind. It's great to see USS Callister receiving nominations though, as it was one of the anthology series' best offerings yet.